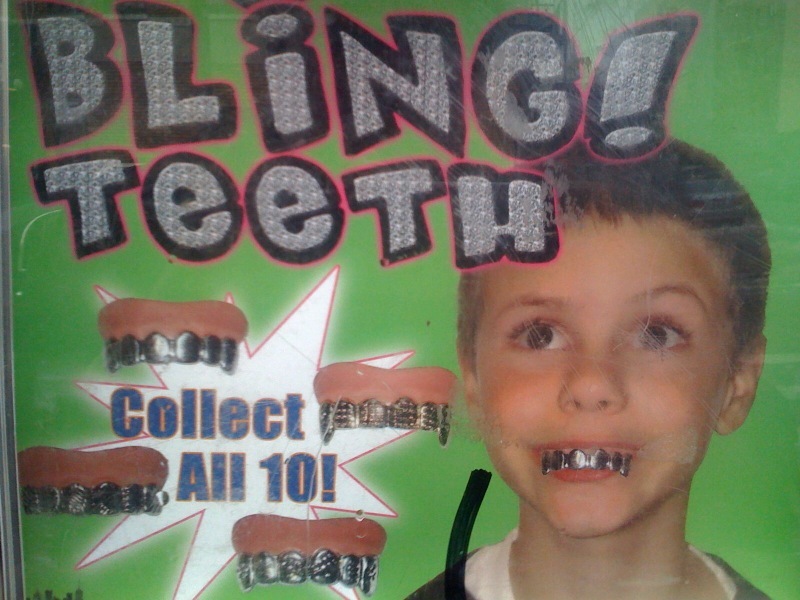 Bling Teeth: Collect All 10! 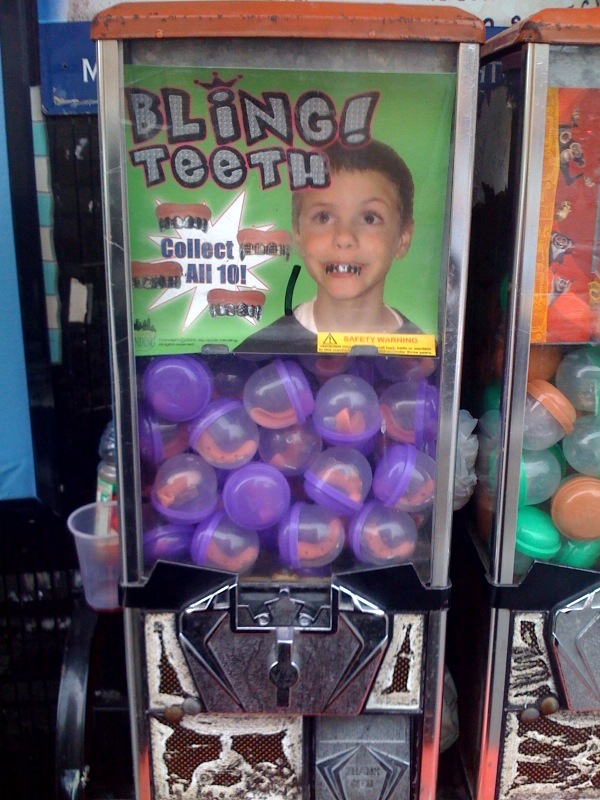 You know that bling is out of style when any child can purchase it at a vending machine outside of a bodega! Photo taken on Keap Street and South 3rd Street. Photographed on December 25th, 2008. This page contains a single entry from the blog posted on December 26, 2008 8:33 PM. The previous post in this blog was Clichéd Christmas Snapshot. The next post in this blog is Williamsburg at Dawn.